Looking for the ultimate excuse to go wine tasting in Spokane. 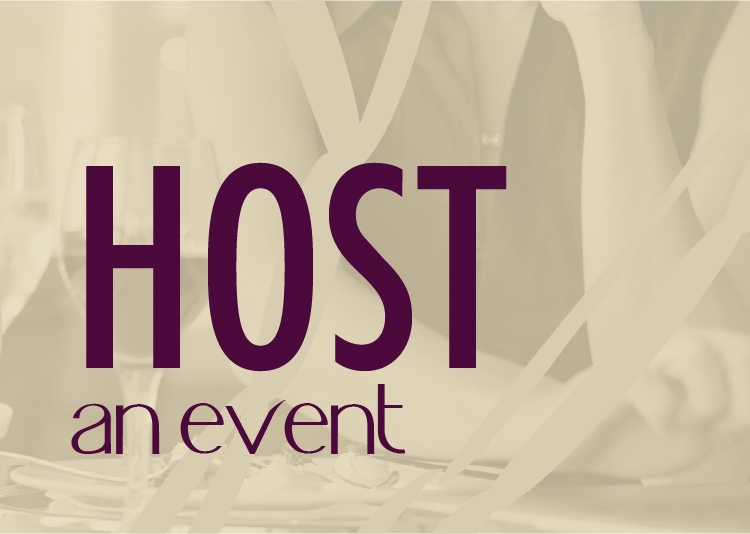 Join us for the 27th annual Holiday Wine Festival. This year you can enjoy wine from 24 wineries at 18 different locations. As always the event is the weekend before Thanksgiving so you can stock up on all the wines you will need for dinner and you can get a head start on your holiday gift shopping. Nectar Tasting Room will feature eight wines (including 5 under $16) and several great deals for your shopping pleasure. HARD ROW TO HOE: Get a little playful with 25% off of six packs of Afternoon Delight and Lickity Split (1/2 bottles). These are fun conversation starters about fun story of Hard Row to Hoe. We’ll also be pouring the Pinot Noir and Zinfandel (both great Thanksgiving wines). NORTHWEST CELLARS: Enjoy two great wines at a phenomenal price. Enjoy the newly released 2008 Merlot ($15) and the 2011 Chardonnay ($12). Both are a great value for your holiday imbibing needs. SKYLITE CELLARS: Hiney returns for the holidays. The popular Walla Walla red blend is back for only $15 a bottle, $80 for a six pack and $120 per case ($10 per bottle). Having a big party, or need a lot of gifts, this is a perfect wine for that. Who doesn’t want a little hiney for the holidays. Also pouring the 2007 Skylite Syrah. TERRA BLANCA: Every holiday table needs a dry Riesling to cut through all the flavors. Enjoy the 2011 Terra Blanca Riesling for only $11. 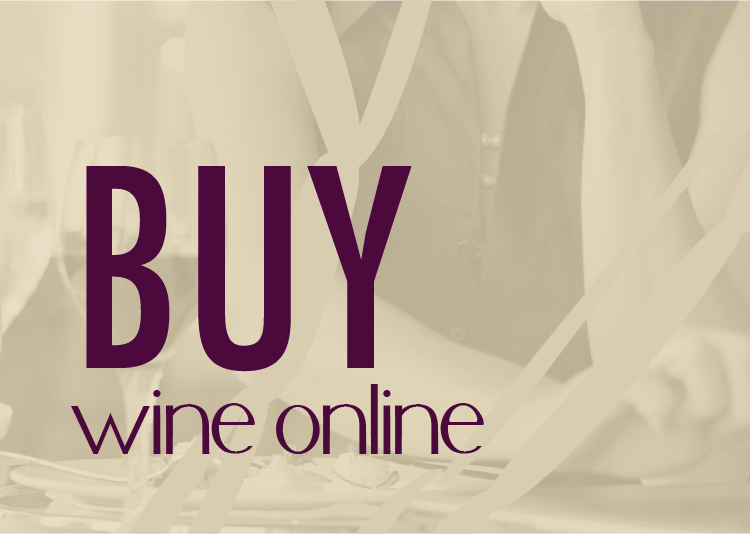 Go bold or go home with the 2008 Red Mountain Cabernet at only $16 a bottle. The rich fruit forward Cabernet will please your wine loving crowd. Mike Conway, Owner/Winemaker at Latah Creek Winery, says that the spirit of Holiday Wine Fest really hasn’t changed, as it has always centered around gift-giving and exciting new food-and-wine pairings. Now President of the Spokane Winery Association, Mike Conway incorporated Latah Creek in 1982 (the same year as another mainstay, Arbor Crest Wine Cellars), and was part of the original HWF event in 1986. Each year, his wife, Ellena, creates a special 4-5-course meal, a different course to be featured at each pouring station. Latah Creek also boasts one of Spokane’s best winery gift shops, which Ellena will stock with brand new holiday items. Nodland Cellars is a micro-boutique winery in the Spokane Valley that consistently makes some of the best wines I’ve tried. Tim Nodland (owner and winemaker) is on hand to guide you through the tasting and educate you on the joys of his old world style Bordeaux blend. Noland is also home to the popular ‘Bad Attitude” blend that can help turn any holiday bad attitude into something quite a bit more enjoyable. Join Tim and his team at 11616 E Montgomery in the Spokane Valley (look for the signs). Come downtown and discover the 13 tasting rooms housing 18 of Spokane’s wineries. 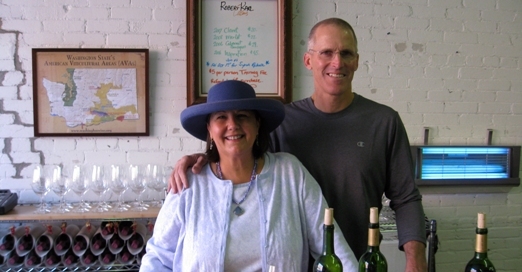 Enjoy the hidden gems at Robert Karl Cellars (Pacific and Brown) or stop by the Broadview Dairy building (905 N Washington) where you can try wines from Caterina, Lone Canary, and bubbly from Mountain Dome. Exploring downtown is a fun way to enjoy Holiday Wine Festival. There are many places to stop to eat and you can take a break from your day with some shopping or a stroll through the park. Visit these and Spokane’s many other wineries this holiday season. Holiday Wine Fest 2012 runs November 16th-18th, Noon-6pm. Remember, if you are planning to taste with a group of 10 or more, please be courteous and call the winery ahead of time. Tasting fees may apply. 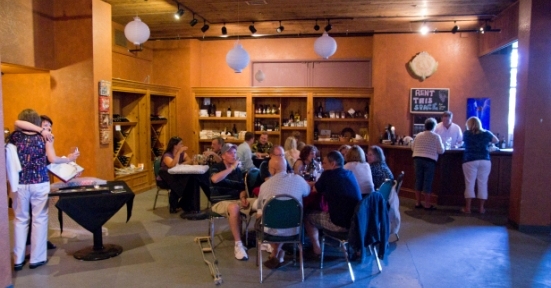 For more information about this event and all participating wineries, visit www.SpokaneWineries.net. Visitor information can be obtained at www.VisitSpokane.com. For wine tours, visit www.GroupCoordinators.com orwww.SpokaneWinerytours.com.